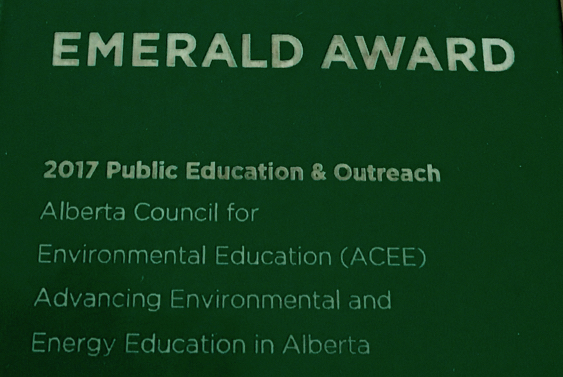 ACEE helps connect teachers and students to excellent education programs that help advance students' environmental and energy literacy. We've listed some of these programs by energy topics and included grant programs offered by corporations and foundations. Energy Revealed is a national learning initiative that brings real-world energy monitoring and management directly into the hands of students, teachers and facility managers. Kid-friendly carbon calculator to assess the amount of energy used by the lights in their classroom, and then formulate a plan to reduce their consumption and track success. This complete online education program meets curriculum requirements for the energy unit in Science 24 – the Alberta grade 11 Science course. With ACEE, bringing real-world energy monitoring and management into the hands of students, teachers and facility managers. Offers students a hands-on and experiential exploration of how electricity is generated and supplied. One-day Pop-up Learning Extravaganza Downtown Calgary at Municipal Plaza held in conjunction with the Mayor's Environmental Expo. This digital poster education kit focuses on how our use of energy relates to climate change. The teacher’s guide contains activities that encourage personal action to engage in effective stewardship. Using their award-winning approach to environment and natural resource education, their team of professional educators will bring current and curriculum-relevant programs to your school. A 40-foot classroom on wheels that delivers a free, one-of-a-kind learning experience at schools and community events across Alberta. K-12 classrooms across Canada improve their energy awareness and energy literacy through a variety of energy-related challenges. Lesson plans designed to save teachers time and engage students in the world of STEM - a world where students are innovators, critical thinkers and creative problem solvers. Multi-year, student-driven, activity-based program that brings environmental education alive in schools. Provides educational programs with a focus on diversity, leadership, environmental sustainability, and energy literacy. Twelve lesson plans covering a range of energy-related topics are divided into Basic / Intermediate / Advanced categories. This roughly translates to grades 4-6, 7-9, and 10-12. 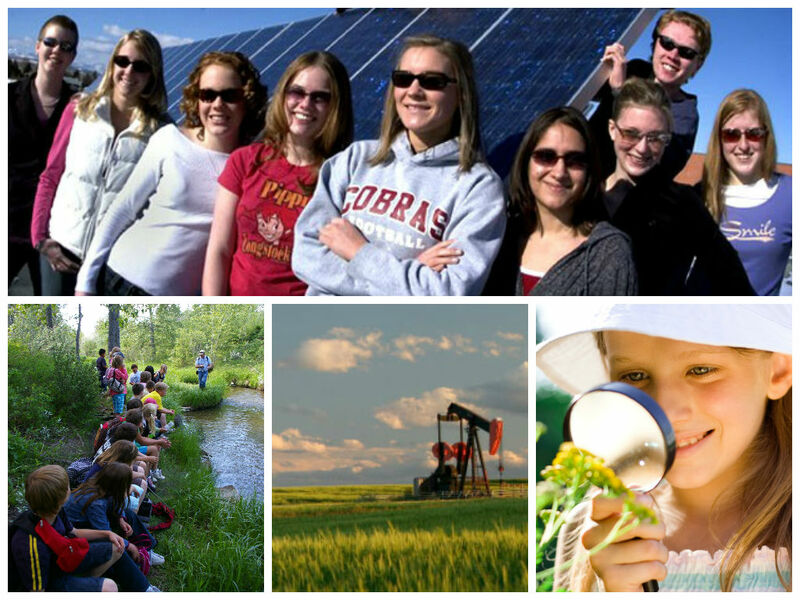 Examples of lesson plans include: What is Energy?, Carbon Footprint, Solar Energy, Wind Energy, among others. Students learn about human-environment interactions, and how their personal actions can affect their climate and environment. Students work with local environmental data to understand climate change at home and bring that information to decision makers. Offers a framework for teaching fundamental concepts and a variety of activities that can be undertaken in school, at home or in the community. Using an award-winning approach to environment and natural resource education, their team of professional educators will bring current and curriculum-relevant programs to your school. A compilation of climate change information compiled by various international organizations. Climate Change Adaptation Lesson Plans and Infographics. Compilation of various current climate change education resources. Free online database which provides access to over 1,200 high-quality, English and French K-12 classroom resources that have been selected and reviewed by teachers, for teachers. Video: Facilitating a coalition of scientists, researchers, policy makers, business leaders and activists to assemble and present the best available information on climate solutions in order to describe their beneficial financial, social and environmental impact over the next thirty years. 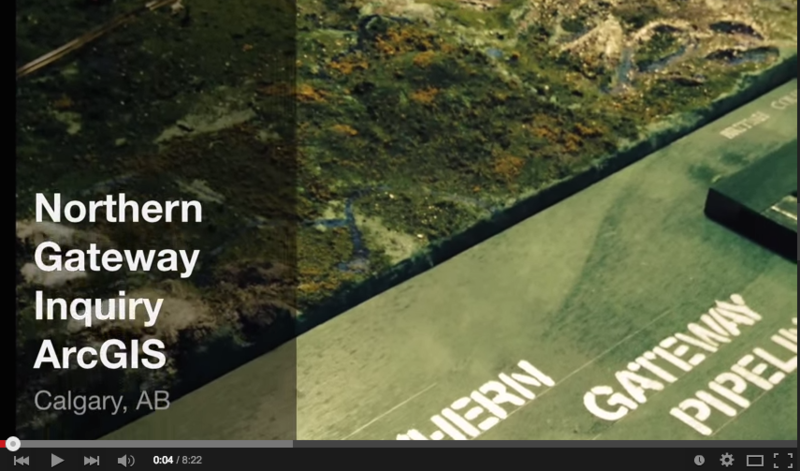 Pick from a number of current and impactful climate change education resources. Provides a brief introduction to some of the Earth’s natural systems that sustain us (e.g., weather and climate systems, the carbon cycle, ecosystems) and indicates how our daily activities and societal actions have a ected these systems. Innovative curriculum-linked programs get kids teaching their peers about science and the environment through theatre. Teaching Activities for Climate Change (TACC) activity allows students to examine several energy-saving actions that will reduce their own and their family's energy consumption, reduce greenhouse gas emissions, and potentially save money. Twelve lesson plans are divided into Basic / Intermediate / Advanced categories. This roughly translates to grades 4-6, 7-9, and 10-12. Lessons include: Climate 101, Geothermal Energy, Biomass Energy and the Carbon Footprint, among others. High school students learn how to build a wind turbine, solar oven, hydroelectric generator or biogas generator—so they can see firsthand how applied science is helping create a more sustainable future. Shows kids that the letters and emails that world leaders, politicians, and business people receive about environmental issues can have a very real impact on policy and products. Free learning resources, packed full of interactive learning activities that use a creative approach. All resources are curriculum-connected and classroom-ready, complete with fun activities and exercises that support different learning styles and teaching situations. Energy resources include an electricity poster, oil sands field trips, energy dialogues, petroleum field trips, and petroleum poster. Web-based teaching program that begins with an Introduction to Energy, followed by ten modules that examine all renewable and nonrenewable energy sources. A compilation of information and resources to help educators, students and the general public get a detailed look at energy across Canada. Teaches young Albertans in our service areas about electricity, electrical safety, and energy efficiency. Activities have been developed in consultation with Alberta teachers and directly align with provincial curriculum outcomes. Offers students a hands-on and experiential exploration of how electricity is generated and supplied. Students will gain insight into the technology, production, consumption, conservation, and impacts of electricity systems. Energy Literacy: Essential Principles and Fundamental Concepts for Energy Education presents interdisciplinary energy concepts that, if understood and applied, will help individuals and communities make informed energy decisions. Clearly laid-out information and videos about types of energy and how they are used. Interactive map that explores relationships between sources, production, transport, conversion, form, distribution and use of energy types. The Energy For All local education and awareness program provides 6 learning modules and provides hands-on participatory activities in topics of renewable energy and water management. The Primer on Energy Systems in Canada, Second Edition is now available! Students build solar lanterns to encourage inquiry and provide information and insights into the global challenge of energy poverty.